Disclosure: NCircle Entertainment sent me these DVDs in exchange for an honest review. All opinions are my own. It is hard to believe Easter is next weekend!! 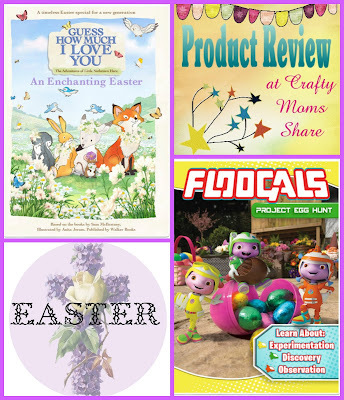 If you are looking for something special for a preschooler's basket, check out these two DVDs. Both have a bit of Easter in them but are also good for spring or any time. See my reviews below to understand that more. Be sure to check out NCircle Entertainment's Activities & Games page for printables to go with these DVDs. The first DVD is with the characters from the children's classic book, Guess How Much I Love You. 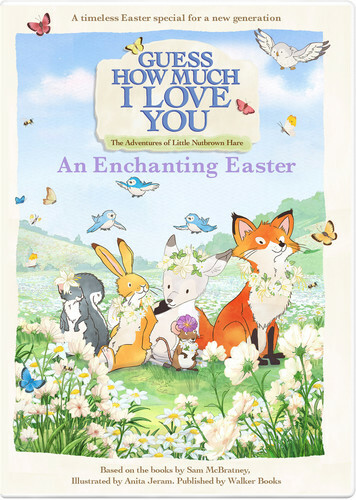 It is Guess How Much I Love You: An Enchanting Easter. In this story Little Nut Hare sees a white fawn, but his friends and father do not believe him. The search is on to prove that there is a white fawn. There is one problem though, the little white fawn thinks it is a game of hide-and-seek. It is an Easter story in the sense that the Little White Fawn comes to visit Little Nut Hare and his friends and father on Easter and she and her family bring the animals an Easter basket. In truth besides that she visits them on Easter it is really a cute spring story. This story is adorable. The animals are cute and I love how there is a bit about believing a friend without proof. Little Nut Brown Hare's friends seem to have trouble with that. There is also a side story with Big Nut Brown Hare helping a friend. In those ways I see it as an Easter story--about believing what you cannot see and helping others. This DVD is about 30 minutes. Have you discovered the Floogals yet? They are little aliens that have landed on Earth to observe and discover and send reports back about the things they learn about on Earth. Our second DVD is Floogals: Project Egg Hunt. 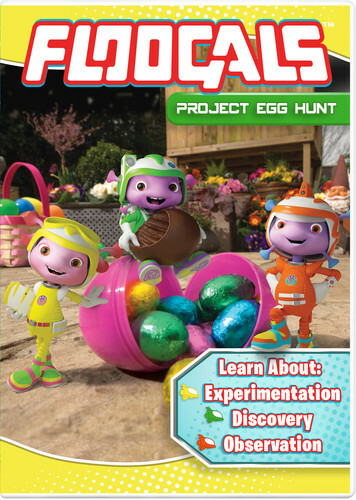 It contains five episodes including Project Egg Hunt which is the only Easter related episode. In this episode they see the human parents hide plastic Easter eggs in the garden and don't know what is happening. Then they find an egg and investigate it. They also collect the eggs to try to be helpful but soon realize they were meant to be hidden and hide them again. The other episodes include one on kites, tortoises, rainbows, and picnics. There is a bit of science in some of them but they are more about observing and discovery. They are definitely aimed at the younger kids. However Hazel and I found them enjoyable to watch because the Floogals are rather cute. This DVD is approximately 60 minutes long. Well if you have preschoolers (or even younger) and are looking for a cute DVD for them, I hope you will check these two out. I know I thought they were both cute and fun to watch.